There are a number of programming languages 6 Easiest Programming Languages to Learn for Beginners 6 Easiest Programming Languages to Learn for Beginners Learning to program is about finding the right language just as much as it's about the edification process. Here are the top six easiest programming languages for beginners. Read More out there, each with their own quirks and features. Due to different design choices and use cases, some are faster or slower than others. Of course, this speed (or the lack of it) usually comes at a price. Put simply, it’s these differences that cause these performance changes. No matter how programming languages look, they’re still doing the same thing: getting your computer to do something. All lines of code are eventually translated to a series of obscure numbers (also known as machine code). It could be said that all programming languages past machine code (including assembly, which maps numbers to readable words) are designed to make creating software easier. These languages can be classified by looking at the level of abstraction they do for programmers. Basically, that’s how much is taken care of by the language itself, things that on a lower level would be handled manually. This tends to make higher-level languages much easier to program in How to Learn Programming Without All the Stress How to Learn Programming Without All the Stress Maybe you've decided to pursue programming, whether for a career or just as a hobby. Great! But maybe you're starting to feel overwhelmed. Not so great. Here's help to ease your journey. Read More , because there’s a little less to learn and remember about. An example of this is memory management. For some languages with less abstraction, a programmer has to manually say how much RAM they need An Introduction to Pointers for Programmers An Introduction to Pointers for Programmers Whether you realize it or not, the vast majority of programs you have used make use of pointers in some way. As a programmer, you need to understand how pointers work. Read More for the task on hand, and then release it once it’s done. If they don’t do this, or if something happens that they don’t account for, this memory usage might grow and grow. Higher-level languages such as Java do this automatically. That being said, there are certainly some downsides to using higher level languages. Namely, speed. Sometimes, the more that’s taken out of a programmer’s control, the less efficient a program might become. For example, languages with automatic memory management (usually called garbage collection) can be slower than ones which do not implement this. This is because the program needs time to go through itself and clear out memory at specific intervals. Generally, programs written in languages such as C and C++ are said to be faster than most. Most operating systems are written using them, along with some even lower level assembly code. One of the main factors of this comes from them being compiled 3 Reasons Why You Might Want to Compile Your Own Kernel [Linux] 3 Reasons Why You Might Want to Compile Your Own Kernel [Linux] Linux systems are so ridiculously flexible and configurable, it's downright crazy. A huge part of why Linux is so flexible is because of its modular structure. Every single system component and program is split up... Read More (as compared to being interpreted). What this means is that before being run, the source of the program is first translated down into a lower level: machine code. The resulting products are called binaries (e.g. DLL files), which are linked together with the relevant files to make them work, creating what’s called an executable How to Make an "EXE" Installation File How to Make an "EXE" Installation File What do you do when you've created some new Windows software and you want to share it with the world? Ideally, you'd create an EXE install package. Here's how. Read More . However, one drawback of this is the time it takes to actually compile such programs. Large ones such as Mozilla Firefox 7 Reasons to Switch From Google Chrome to Mozilla Firefox 7 Reasons to Switch From Google Chrome to Mozilla Firefox Google Chrome is the most popular web browser, but is it right for you? Here's why you might prefer Mozilla Firefox. Read More can take up a good half an hour or so. Fortunately, most software these days do this process beforehand, making it easier to just install and use. Since the end result is written in a language that a computer can directly understand, it tends to be quite fast. Compare this to interpreted languages, which go through another step. Having said that, not all compiled languages are the same. To translate any sort of code into something a computer can understand (machine code), it needs to be run through a special program called a compiler. One language can have multiple compilers for it. For example both GCC (GNU Compiler Collection) and Clang can be used to compile programs How to Compile & Install TAR GZ & TAR BZ2 Files in Ubuntu Linux How to Compile & Install TAR GZ & TAR BZ2 Files in Ubuntu Linux Read More written in C.
Since it’s the compiler’s job to translate a program into machine code, how well it does this can impact its speed somewhat. The same source can have slightly different results, depending on how the compiler is configured, for example. This can also mean that different compiled languages can perform faster or slower than others. Generally, C and C++ 3 Websites To Get Started With Learning C++ Programming Language 3 Websites To Get Started With Learning C++ Programming Language Learning to program can be difficult for many, even with relatively easy programming languages. While Java is easier to get started with (where we have numerous articles here at MakeUseOf for Java as well as... Read More are said to be very fast, since the compilers for them have gone through years of development and improvements. Other languages don’t always have that maturity. As said before, interpreted languages are not compiled beforehand. Instead, they are translated whilst being run, usually by a separate program known as an interpreter. For example, Java programs are run through something called the JVM (Java Virtual Machine) What Is the Java Virtual Machine & How Does It Work? What Is the Java Virtual Machine & How Does It Work? Though it isn't strictly necessary to know it works in order to program in Java, it's still good to know because it may help you become a better programmer. Read More . Because these languages don’t need prior compilation, programs written in them are generally much easier to make and test. As a result however, the software itself can be significantly slower. Interpreters execute the source of a program line by line, which incurs a speed penalty. Along with this, the interpreter itself needs a little time to start up. Due to their somewhat slower nature, many interpreted languages actually use some form of compiling to speed up their performance. Before running, these programs are translated down to bytecode, a type of language easy for interpreters to work with. For example, both Java and Python The 5 Best Websites to Learn Python Programming The 5 Best Websites to Learn Python Programming Want to learn Python programming? Here are the best ways to learn Python online, many of which are entirely free. Read More do this before running, creating CLASS and PYC files, respectively. Basically, it’s a bit of a compromise between ease of development and speed. It’s faster than just interpreted code, and easier to set up than its fully compiled counterparts. Bytecode also has the added benefit of being more portable compared to programs compiled to machine code. If the interpreter exists for the CPU architecture What Is an ARM Processor? Everything You Need to Know What Is an ARM Processor? 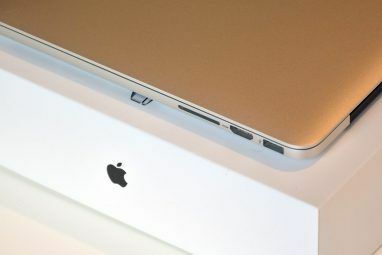 Everything You Need to Know If you’ve paid any attention to smartphones and tablets you’ve likely heard of the term "ARM" used to refer to the hardware inside. It’s thrown around left and right, often as a point of differentiation... Read More , it will run. In some languages, there’s also something called JIT (just-in-time) compilation. Basically, it takes bytecode and compiles bits of it down to machine code. Like the name suggests, this happens while the program is running. It’s meant to speed up execution, at the cost of a slower first start since parts of it need time to compile. All this being said, these differences are not really a problem for most people, especially with computers becoming faster and faster Intel's Kaby Lake CPU: The Good, the Bad, and the Meh Intel's Kaby Lake CPU: The Good, the Bad, and the Meh Kaby Lake is Intel's next processor. How much does it improve on the Skylake processor? What are the drawbacks and limitations? Here are four things you should know about it. Read More every year. While some programming languages are certainly faster than others, what really matters is it gets something done. Sure, if you’re very experienced with programming, it’s fine trying to eke out performance from your code. But if you’re just starting out, it’s much better to worry about learning the motions 7 Useful Tricks for Mastering a New Programming Language 7 Useful Tricks for Mastering a New Programming Language It's okay to be overwhelmed when you are learning to code. You'll probably forget things as quickly as you learn them. These tips can help you to better retain all that new information. Read More in the first place. It doesn’t matter how fast or slow a language is considered if nothing is written in the first place after all. There’s also the matter of using the right tool for the job. Assembly language for example is very good for writing operating systems, because it’s so low level. But it’s overkill for regular desktop applications 9 Official Windows Store Apps to Replace Popular Desktop Apps 9 Official Windows Store Apps to Replace Popular Desktop Apps If you've been wanting to try Windows Store apps, why not start with apps you know well from the desktop. Here's a beginner's selection. Read More . 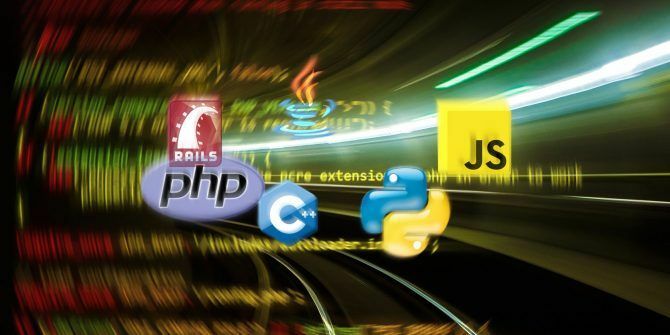 There are also languages designed for the web Which Programming Language to Learn - Web Programming Which Programming Language to Learn - Web Programming Today we're going to take a look at the various web programming languages that power the Internet. This is the fourth part in a beginners programming series. In part 1, we learnt the basic of... Read More , and so on. What factors do you consider when learning a programming language? Explore more about: Hardware Tips, Programming. After 35 years of programming, I'm still waiting for code efficiency to be "not really a problem for most people, especially with computers becoming faster and faster every year." "Sure, if you’re very experienced with programming, it’s fine trying to eke out performance from your code. But if you’re just starting out, it’s much better to worry about learning the motions in the first place. It doesn’t matter how fast or slow a language is considered if nothing is written in the first place after all." While some programming languages are certainly faster than others, what really matters is it gets something done." The difference in execution speed between, for example, the same task implemented in C versus Ruby can be 100 to 200x. This is not a trivial difference at all. In other words you can get a 100x execution speed with the same hardware. NOTE: Programming languages per se can't be measured in speed; what one can measure is programming language implementations. But the features and idoosyncracies of a PL will inherently affect how much speed an implementation could strike. Great artical i am using c/c++ language for last 5 years..still loves to code in it.. I started programming mainframes before most of you were born. I've programmed in IBM Assembler and could read core dumps in machine language. I would never voluntarily do either again. If you are starting out and want to learn a language, I'd recommend Python. It's a well structured general purpose language that is very popular and is still increasing in usage. If you want to get a job in programming, Java is still at the top of the heap of general purpose languages. In return for its bloat, it will run on just about anything. Native code is always the fastest as well as the smallest (footprint). Code in C, C++, Delphi and Lazarus/Free Pascal beats .NET and Java by an order of magnitude. Statically compiled Delphi EXEs are as small as 500 KB while running rings around .NET or Java based applications. .NET is the slowest and buggiest. IIRC, .NET and UWP (Universal Windows Platform, aka Metro), which is just a newer version of .NET, both use bytecode to ensure the program can run on x86 and ARM - it was designed to run on the ARM-powered original Surface (which ran Windows RT for ARM). This means the framework is massive, bug-ridden, and slow as hell - just like Java.